Introduction to Molecular Energy Transfer intends to provide an elementary introduction to the subject of molecular energy transfer and relaxation. The book covers the foundation of molecular energy transfer such as quantum mechanics; the vibrational state of molecules; and vibrational energy transfer and the experimental methods for its study. Coverage also includes the different kinds of energy transfer in gases; vibrational relaxation in condensed phases; electronic states and interactions; electronic energy as a result of intermolecular interaction; radiationless electronic transition; and rotational energy transfer. 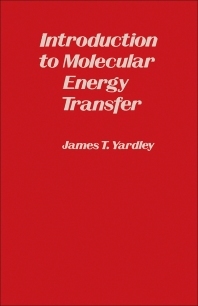 The text is recommended for students, graduates, and researchers in the fields of physics and chemistry, especially those who would like to know more about molecular energy transfer.